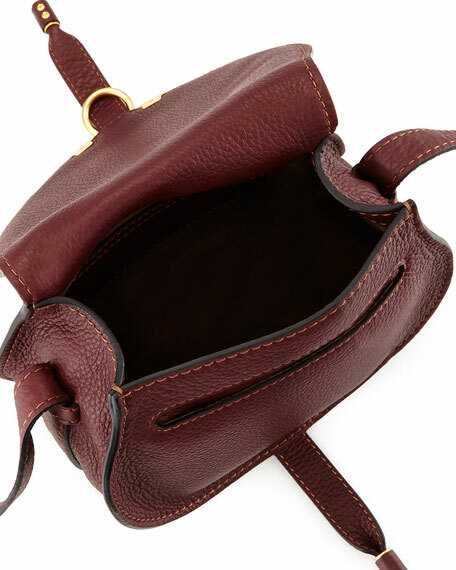 Chloe calfskin leather crossbody bag. Adjustable crossbody strap has 21" drop. Horseshoe flap top with pintuck details. Exterior slot under flap top. Interior leather slip pocket; fabric lining. 6.5"H x 7.5"W x 3.9"D; weighs 11oz. "Marcie" is made in Spain. For in-store inquiries, use sku #207623.